Nadia’s House Cleaning provides a variety of cleaning services to homes and businesses throughout the Greater Boston, Massachusetts area. We have proudly been licensed and insured since 1986 to continue to deliver superior execution on all of our services rendered, all the while of upholding a high moral standard and family-friendly customer services. Nadia’s House Cleaning takes advantage of top-grade equipment and products offered exclusively to licensed professionals to enhance our professional’s expertise and skills. Included in our diverse cleaning services is our detailed construction cleaning service. 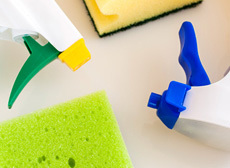 –	Removing all dust and debris, sanitizing, and washing out any spots on all surfaces throughout the entire building. –	Ceiling pipes, duct work, vents, light fixtures, ceiling fans and such are all carefully dusted. –	Hardwood floors are dust mopped and treated accordingly. –	Natural stone and man-made tile and grouted surfaces are cleaned and removed of stains appropriately. –	Carpets are fully vacuumed. –	Floor surfaces are not only cleaned, but waxed, buffed, and sealed. –	Kitchens and bathrooms are thoroughly wiped and sanitized from top to bottom including fixtures, sinks, toilets, showers, tubs, and appliances. –	Mirrors, stainless steel, and other materials are polished. –	Dust and debris is removed from the window sills and window frames. –	Windows and glass cleaning including any needed scraping and etching. 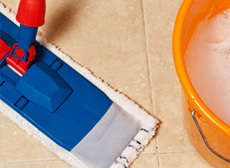 When a Nadia’s House Cleaning Service professional arrives on the construction scene, we inspect and assess the needed areas and determine the best solutions to execute our methods and techniques to assure your post construction site is cleaned from top to bottom and ready to be used. If there are any specifics or unique requests, we can accommodate your needs. We understand that our results are a reflection on you, so by making sure you look good makes us look good. With our premium results you, like so many of our clients, will return time and time again. –	Nadia’s House Cleaning construction cleaning crew clean the post construction mess effectively with ease as our employees are skilled, organized and efficient at completing the tasks at hand. With our experience in cleaning post construction buildings, we are capable of cleaning the filth associated with the construction process. –	Nadia’s House Cleaning institutes the needed tools and equipment designed to clean the post constructed homes, apartment buildings, and commercial businesses to get a better clean. Our crew is familiar with each tool and equipment and applies the techniques to make it most efficient. 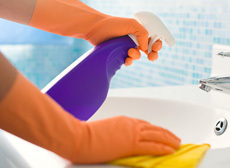 –	Nadia’s House Cleaning has an affordable post construction cleaning service available to our appreciated customers. Making us a convenient resource that fits into any budget. 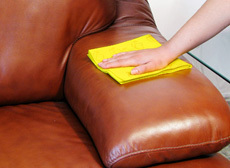 Nadia’s House Cleaning post construction cleaning service is one of our specialties. If your find your Greater Boston, Massachusetts home or business is in need of our cleaning services, contact us today to get started!